1. 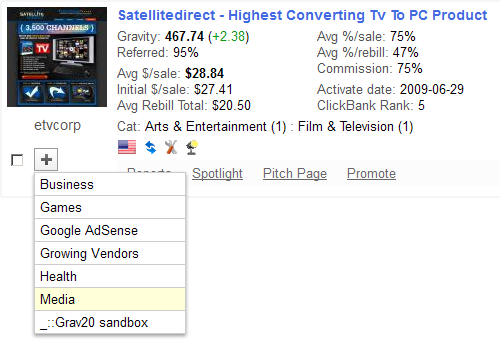 When you are on any vendor's page OR in the ClickBank Marketplace results. There is the '+' button next to the vendor's ClickBank ID. Click on this button and the list of your folders will appear. Choose the folder to which you want to add the vendor and click on its title. 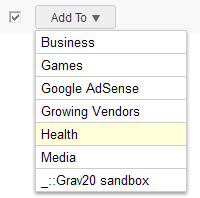 Tick the checkboxes near the vendors you want to add. Above or below the results, press the 'Add To' button and the list of your folders will appear. Choose the folder to which you want to add the vendors and click on its title.